Apply Now for Lawsuit Funding , loans, and pre- settlement. Dealing with legal battles can be very problematic. Time can really be one of your biggest competitors. Complete fair settlements may take even up to a year just to be achieved. Do you think you have that much amount of time to spend? That is why Legal Funds Now exists. We are here to provide pre settlement funding, litigation financing and legal finance to victims of accidents waiting for pending personal injury lawsuits or insurance settlements. While you go for a fair and just claim, we help you obtain the amount you deserve for your living expenses. As one reliable pre-settlement funding source, we have the resources and experience to give you assistance whenever you are in need of it, especially in gaining lawsuit loans. 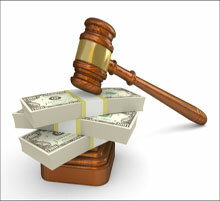 We offer you upfront fee-free cash advances for your awaiting legal settlements. Unless and until your case has earned its success, you would not have to spend a single penny. The person who needs cash calls a toll free number or fills out our online application form. 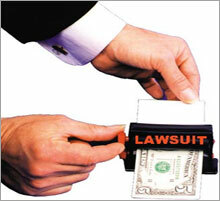 We do not need any credit check or any work history of plaintiff. 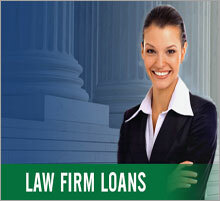 Lawsuit loans fundings is one of the largest cash providing company in the USA. Our company than contact the applicant and his or her attorney, than our representative collects all the information about your case from you or your attorney. Some borrowers end up with few thousand dollars, and some can receive tens of thousands dollars. It all depends on the case. Than lawsuit loan funding will discuss everything with you or your attorney on phone or if we need some documents than we inform our client or his/her attorney to send us related documents for further procedure, as soon as all information will be collected from our client, we will approve case without wasting of time. The term Loan(s) when used to describe , Pre-Settlement Funding and Lawsuit Funding by this website , or any of its agents/ representatives/ ownership/directories/investors and so forth is not an accurate legal or financial definition of the transaction . It is NOT A LOAN. The transaction is a non -recourse purchase of a portion of the proceeds of a potential future cash award or settlement. Please note that Pre-Settlement litigation financing advances are not traditional loans . Pre-Settlement Funding advances fall in category of funding known as NON- Recourse Funding . Repayment of Pre- Settlement litigation financing advances is contingent on winning or settling the lawsuit.